Grateful Friday – And the Winner Is... - Reclusive Fox ""
Howdy folks! Another Friday is upon us and what a week it’s been. I’ve been busy working through a pile of blogs for clients so I can have Monday off. I think I’m going to need it to recover from the fun and frivolities that this week is going to throw at me. If you’re wondering what I’m going to be up to you check my last post and see why it’s a bit of a big deal for me. Well it’s time to say what I am grateful for and then we’ll get on to the winner of the Urban Tan Glamour Gloss Giveaway, which ended on Thursday! This week I made my first ever bag (other than a laundry bag) and it didn’t turn out too bad! I’m happy that I’m trying to learn to sew at 37. Follow Reclusive Fox on Instagram if you want to sneak a peek at my creation. On the same note I’m also delighted beyond words that the new season of Project Runway has started again in America, I just wish they would show it here in the UK. Is anyone else a fan of Project Runway and the legendary Tim Gunn? I am grateful for the way my mind is working at the moment. I am giving myself challenges and trying to take these panic attacks on with new ferocity. I’m adamant that they aren’t going to dictate my life anymore and this weekend is basically me and my anxiety going into battle. I’m going to be victorious! It’s the summer holidays and having Elle at home (when she’s not off gallivanting with her mates) is brilliant! Elle is helping me with a few reviews, along with her best mate Cait and they’re fantastic to have around. Reviews to come soon! Weight loss mission is moving in the right direction, lost 3lb this week! I’m still using the Malory Band but this week I also sampled the Exante Diet, I’ll tell you all about that next week. Shame it’s all going to be put back on this weekend. Okay, now for what you’ve been waiting for. 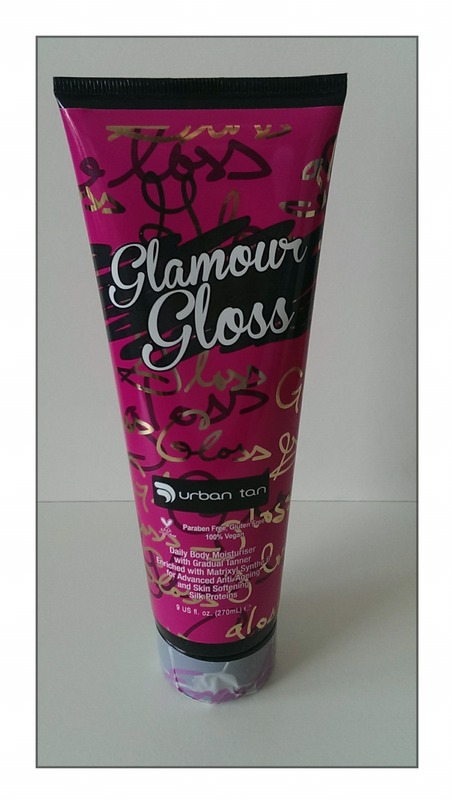 The Urban Tan Glamour Gloss Giveaway received over 3000 entries! WOW! Thanks to everyone who entered and I’m sorry there can’t be more than one winner. The good news is there’s another giveaway planned in the very near future, so don’t forget to Like Reclusive Fox on Facebook or follow @Reclusivefox on Twitter or simply Subscribe to the blog so you don’t miss the announcement. And now, drum roll please….the winner is…Michelle Muirhead! Congratulations! aw this is a lovely idea might try this. Hi Jasmine! Thanks so much 🙂 Sorry for the delay in responding I read your comment while I was sat in the pub! I really am grateful that you discovered Reclusive Fox and nominated me for the Liebster Award, you’re a superstar!